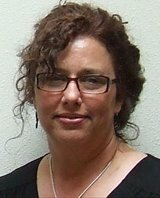 JESUP, IOWA – Michelle D. Balm, 52, of Jesup, formerly of Cedar Falls, Iowa, died Saturday, March 12, 2016. She was born September 27, 1963, in Waterloo, Iowa, daughter of Rev. Thomas and Darline (Miller) Balm. She graduated from Northern University High School in 1981 and attended the University of Northern Iowa. She worked primarily in the food and beverage industry. She also had a child care facility in her home for several years. Michelle loved animals, especially horses and dogs. She had a tender heart towards any person or animal she felt was being abused in any way. She is survived by her daughter, Amelia “Mia” Balm of Cedar Falls; her mother, Rev. Darline Balm-Demmel of Cedar Falls; three brothers, Stephen (Sara) Balm of Spirit Lake, Jon (Angie Story) Balm of Brooklyn, IA, and Brian (Nancy) Balm of Flagstaff, AZ; a step-brother, Matt (Bressa) Demmel of Union; and a step-sister, Tanya Demmel of Tipton; six nephews and four nieces. Preceded in death by: her father; step father, Gary Demmel; aunt, Sally (Balm) Dempsey; and uncle, Jerry Balm. Family Directed Memorial Services will be held 4:00 p.m. Saturday, April 16, 2016, at St. Timothys United Methodist Church, Cedar Falls. Family will receive friends following the service. Memorials may be directed to ASPIRE Therapeutic Riding Program (Waterloo) or Wesley Woods Equine Program (Indianola).